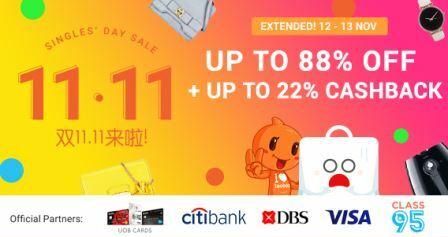 ShopBack, one of the largest online stores today offers an exciting sale which starts this 11.11 (November 11). This is dubbed as the Singles' Day Sale. The sale promos were divided into two - the Singles' Day which started on Nov. 11 and the Extended Single's Day which takes place from Nov. 12-14.